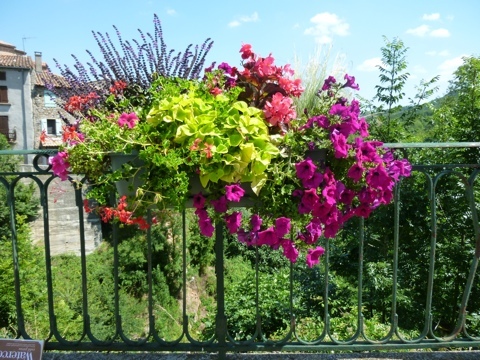 Branac is a village filled with flowers. 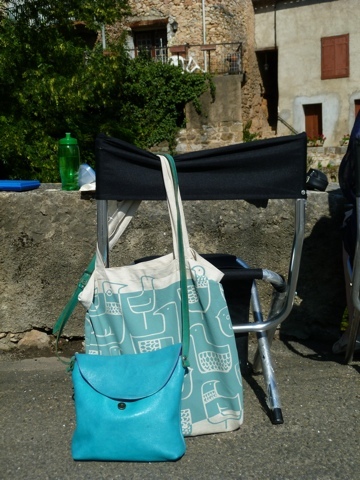 We spent the day painting–here is the turquoise bag I made for wallet, camera etc. 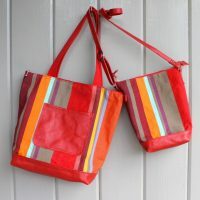 and my favourite carry-all from Skinny Laminx. Thanks for bringing us along for the trip. So pretty…. Thanks both of you for your comments. It is wonderful to hear from you. This is a truly beautiful area full of history and charm. Jen–you will recognize the strap I got from you on the turq bag–wish we had more!